The problems are not only limited to the Melbourne Metro Network, as an unexpected cut in services and reduction in carriages on the Ballarat line forced some passengers to stand for the entire journey. The Ballarat line is on track for much-needed upgrades, however these commuters are still experiencing the same problems on a daily basis; as works for the Ballarat line starts, complaints are only expected to increase. When the carriages are shortened, rail replacement buses and coach services have not been scheduled, as a result many commuters are being stranded instead of being able to get onto their usual train. The signalling system, riddled with faults, is desperate for upgrades. Many delays and train standstills are followed by an announcement along the lines of: “Sorry folks we’re just experiencing a signalling problem, we should be on the way shortly”. ‘Shortly’ can mean anything from 1 minute to 10 minutes. Not only do V-Line customers suffer a crowded service, but they also have to put up with constant delays and a frequently late train. This is as more VLocity high-capacity trains are rolled out across the network. According to this public transport and roadworks rundown, many lines and areas will be affected in April as works intend to ramp up over the Easter holidays. A lot of these works have been previously announced but have yet to begin in earnest. This time of the year has been carefully selected as the roads are less crowded than usual, especially on Good Friday. While the short-term pain of delays, overcrowding and old trains will be worth it in the future, it can be difficult for commuters to remember this as they are faced with replacement buses for yet another week. Notwithstanding that the trains were down so often even before these works started, that a replacement bus has become a daily reality for many people across the Metro network. Not only do trains also have trouble during the consistent works and upgrades, but they also frequently break down in everyday circumstances, such as changing climate conditions. 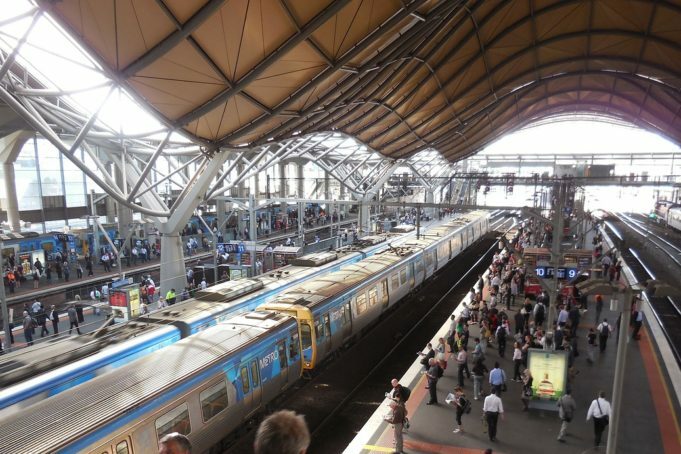 Last week trains across the Melbourne Metro were delayed for up to 15 minutes just due to rain. This is unacceptable for a city known for its unpredictable weather. Due to the consistent delays, breakdowns and general unreliability of the network in the regional and metro areas, some commuters have had no choice but to return to driving. However as roadworks across the state ramp up, they are met with yet more obstacles. Trams, such as the 12 and 109 trams, will also be affected starting from the April holiday period. While this is currently angering many commuters, it is ultimately for the greater good. In the near future, trains will run faster, more often and be able to carry more passengers. It will also create thousands of jobs in Victoria across many different sectors, such as: rail, construction, and managerial positions.